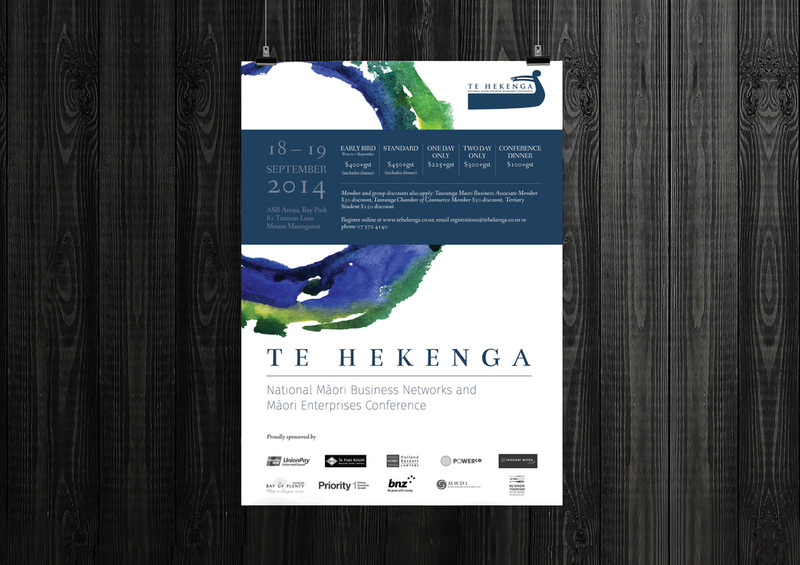 Te Hekenga is a biennial National Māori Business Conference. They approached Platform Agency needing a branding strategy that included a brand identity coupled with visual graphics that could be applied across posters and programme booklets for the conference. 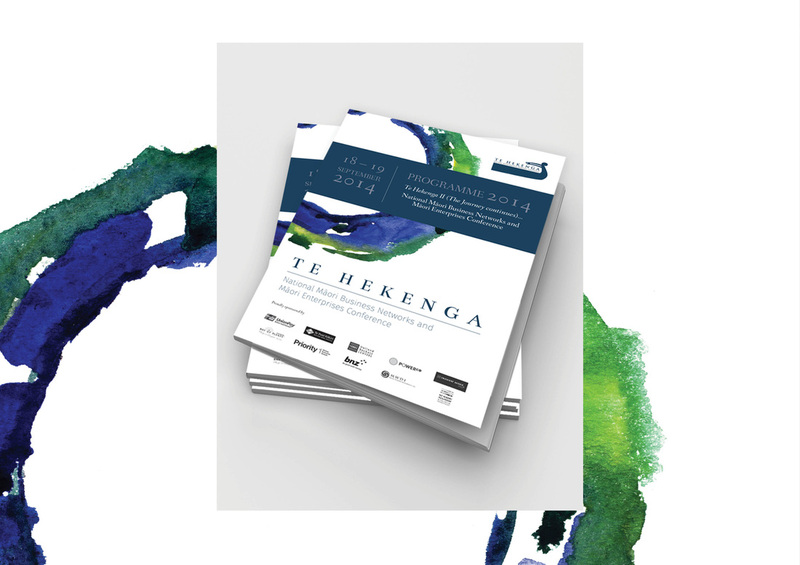 The colour palette and water colour mark are used to represent Tauranga where the conference is located.